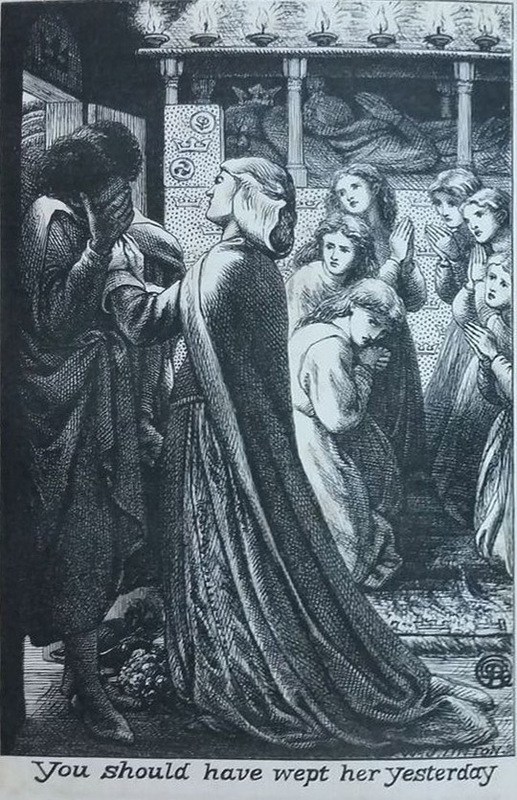 Frontispiece depicting a woman consoling a man. 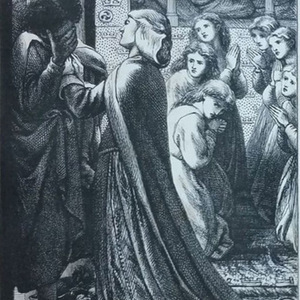 Six women are praying in the background. 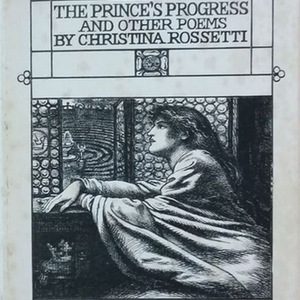 The text below the image reads "You should have wept her yesterday." 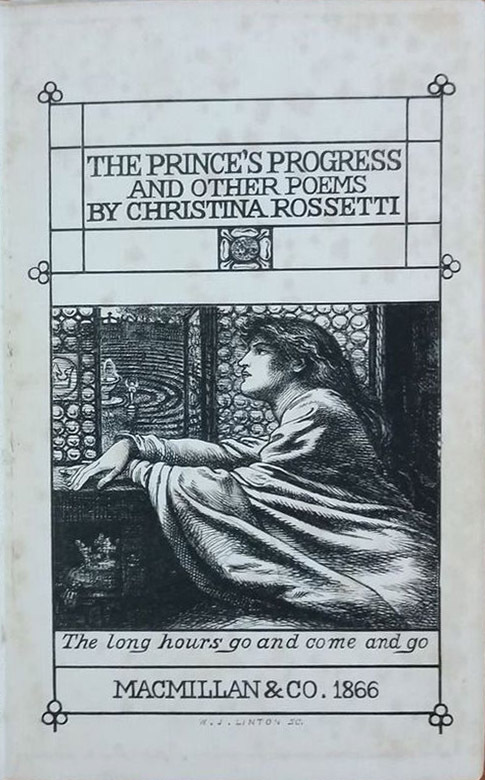 Rossetti, Dante Gabriel, 1828-1882, “The Prince's Progress Frontispiece,” UVic Libraries Omeka Classic, accessed April 23, 2019, http://omeka.library.uvic.ca/items/show/1578.